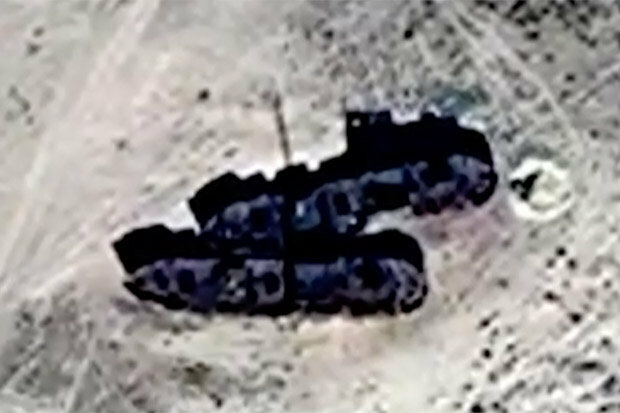 A FLEET of abandoned ships was discovered in the middle of a desert sparking a huge investigation. Scientists were stunned by the discovery in the wilderness of Kazakhstan. The four huge ships were pictured by the Quickbird Earth Observation Satellite which was hovering about 280 miles above the country. Experts could not not understand how the four “deep-ships” ended up in such a position. George Kourounis, a Canadian explorer, said: “It is hard to wrap your head around what is going on in this image. “You’ve got a vast desert where you would expect there to be no water whatsoever and yet in the middle, there is a fleet of rusting ships. “It emerged the nearest ocean is the Aral Sea – but this is miles away. Using previous Cold War images, the scientists discovered that this area was once covered by a massive sea which has since vanished. For decades, it was thought they “disappeared and reappeared somewhere else”. The enormous vessels were designed to travel in deep water.